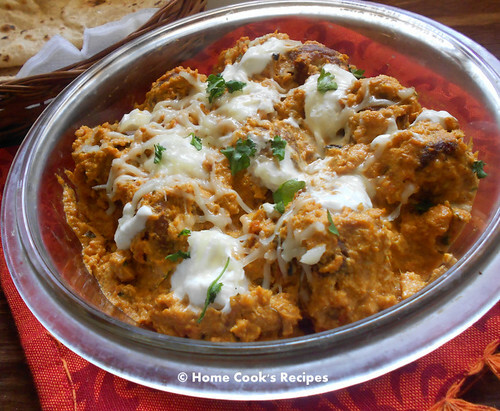 Malai Kofta is such a Rich Dish with Lots of Cream. Ofcourse Deep Fried Kofta's makes it Rich. 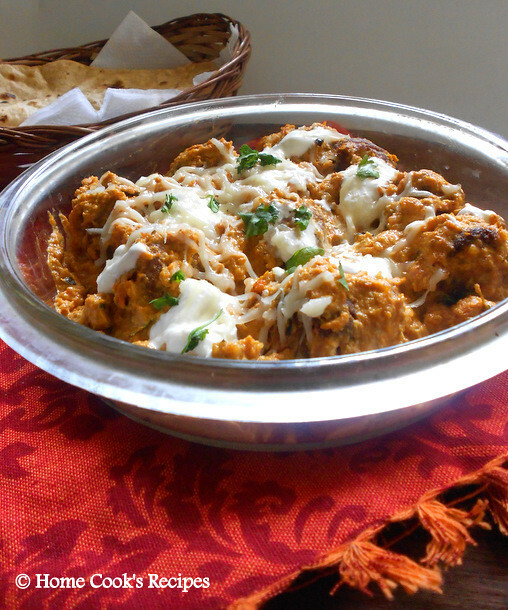 As i mentioned in my earlier post, We made this Malai Kofta at Our Cooking Session. It turned out Yummy and very Tasty. Recipe may look Lengthy, but once you start making, you can finish off soon. 1. Pressure Cook the Potatoes upto 4 or 5 whistles. peel the skin of the potatoes and mash them. 2. 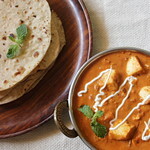 Grate the Paneer very finely. also chop the Green chilli's finely. 3. In a Large Bowl, Add the mashed Potatoes, Grated Paneer, finely chopped Green Chilli's and chopped corriander leaves & mix well. 4. 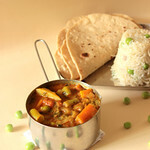 Add salt to taste, Garam masala, Bread Crumbs, Milk Powder and Corn Flour and mix well. 5. Knead them all together. knead, as we do our chapathi dough. Shape them into small balls. 6. Make a dent on the kofta ball's, stuff it with one cashew bit and 2 dry grapes. likewise stuff all the kofta balls. Each Kofta ball should be of a medium lemon size. 8. Remove the Kofta's to a tissue paper and then add to the Gravy just before serving. 1. Chop the Onion and Grind them into Paste by adding 1/3 cup water. 2. Boil the Tomatoes in a Cup of Water for about 5 minutes, till they remove their skin. cool them and Blend the tomatoes alone into Tomato Puree. 3. Soak the Cashews and Badam iin Hot water for about 1 hour. Remove Badam Skin and Grind the Badam and Cashews with little water into a fine paste. 4. Grind the Ginger-Garlic Paste and Green Chilli's together into a fine paste. add little water to grind. 5. Heat Butter in a Pan, add cloves, cinnamon, Bayleaf and fry them. Add Onion Puree and Fry till the raw smell of onion leaves. it takes at least 3 minutes in medium flame. Then add the the Ginger-Garlic-Green Chilli Paste and saute it for another 2 minutes. Add the Tomato Puree and mix well. Let the mix all come together and leave them to reset in pan at slow flame for another 2 - 3 minutes. 6. Add Turmeric Powder, Kashimiri Chilli Powder, Garam Masala, Kitchen King Masala and Kasuri Methi. add salt to taste to the pan and mix well. 7. Add the Cashew-Badam paste and mix well. add 1/2 cup water to get the desired Gravy Consistency. 8. Finally add the Fresh Cream. Remember to add the Fresh Cream at slow flame. Let the Gravy Thicken. Add little water or milk to dilute the gravy a little bit. 9.Transfer the Gravy to the serving bowl. preferably a oven proof bowl. add 2 tsp fresh cream at top and sprinkle cheese over the gravy. Bake or Grill the gravy for 4 minutes till the cheese melts. 10. Add Chopped Corriander Leaves to Garnish. 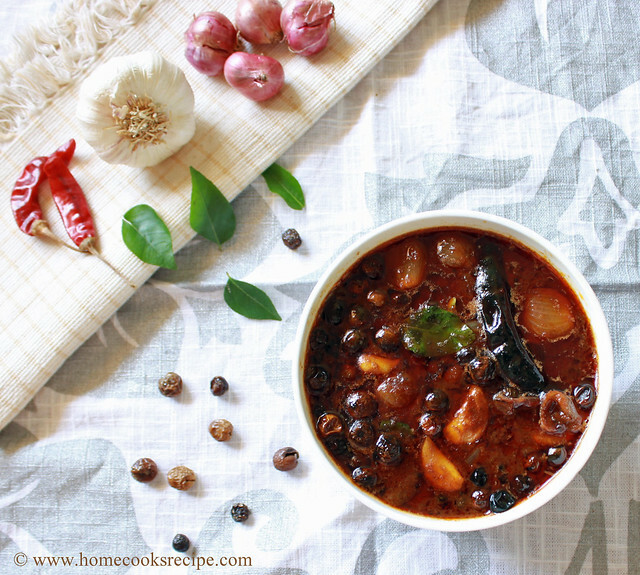 Serve with Roti's or Chapathi's. 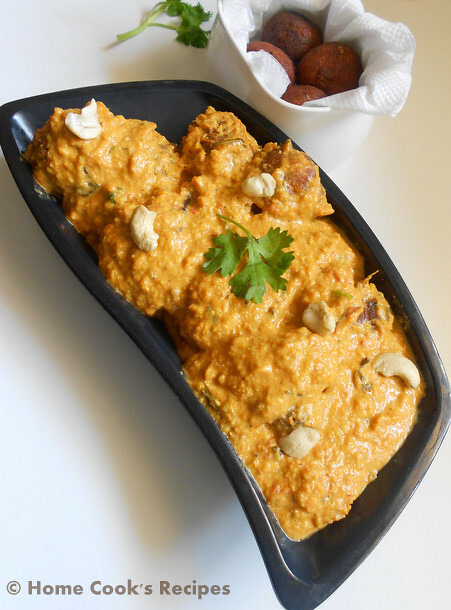 Delicious malai kofta,looks so tempting. 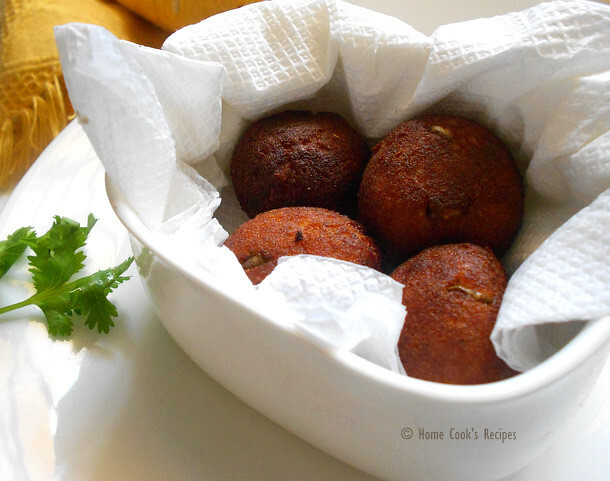 Love the idea of making koftas in appam pan. Curry looks so delicious. looks delicious and certainly a must try. You have a lovely blog. 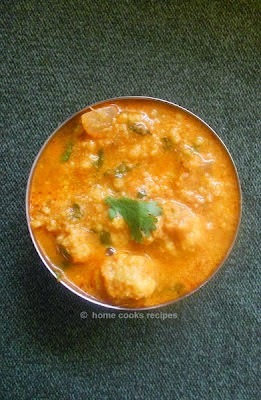 Terrific malai kofta, they are so cute and classic.